A series regular on Primetime Glick with Martin Short on Comedy Central for three seasons. Brett has also been on the oscar nominated Ghost World, Wild Things 2, Malolm in the Middle, Becker, NYPD Bue, General Hospital, Angel and many more. Plus he's done over 24 national commercials including Pepsi with Britney Spears. 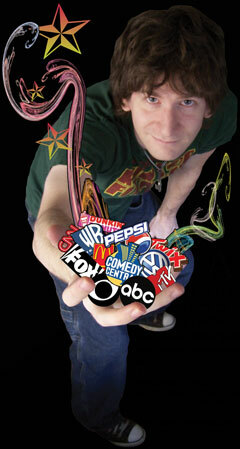 Brett Gilbert is a 13 year veteran of stand-up comedy with a strong Rated-R look at the world. Show promoters are required to post a warning sign at the enterance of every show informing audiance to be prepared the show will contain the most brutal language and topics known to man.